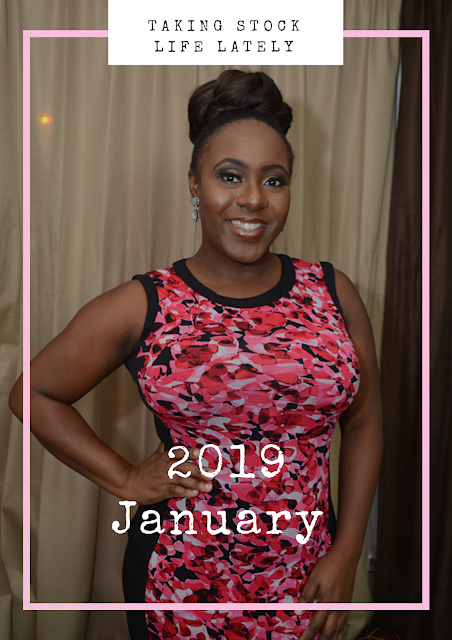 My, January was a crazy month!!! During the first week of the month, she caught a stomach bug that freaked me out because of how lethargic she was, early one morning. She couldn't go to school, and I had to take the day off work. Thankfully, she got better really quickly. Cocoa also graduated from asking "Eh that?" questions to "Ih that _______ (insert colors, objects, Daddy, etc here)?" And finally, I think my child is a clown! She does something cute and hilarious every day, including this random dance that she started in January. My goal this year is to read 2 books a month, plus the bible = 25. How about I read 4 books in January?!?!?!? Lysa Terkeurst - It's Not Supposed to Be This Way. I really looked forward to this book, but it wasn't as easy a read as I thought it would be. I did quite like the end of the book where she shared a few verses and prayers to help you through difficult seasons. Brittany Hennessy - Influencer. I like the great tips in the book for those of us who are in the social media industry. It took me longer than I expected to read it though. 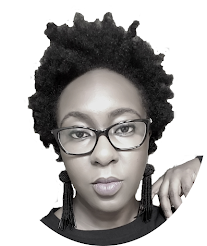 Adenike Oyetunde - Adenike I happened on the book and impulsively decided to read it; I ended up finishing it a few hours later and even reviewed it on the blog. Tayari Jones - An American Marriage (I finished listening to the audio version of this book in less than 24 hours, and then wailed for a good few minutes afterwards! It was riveting and heartbreaking to me.) Thanks to Two Night Stands blog for the recommendation. I didn't watch a lot of anything in January, but I did get into watching Lionheart and Marie Kondo's thingy on Netflix. I really liked Lionheart a lot! I saw that some people didn't and I'm not quite sure why. I thought it was an easy film, with a light-hearted story line. The acting was nice, and I J'ADORE Genevieve's hair and outfits from the movie. Is there somewhere where I can find who styled her hair and her costumes? As far as Marie Kondo, I distractedly watched 3 or 4 episodes. I'd like to take time and watch with undivided attention. I also got into the latest season of Grace and Frankie, which is one of my favorite shows EVER! For some weird reason, I really enjoy comedies with older people, and Jane Fonda is one of my faves. I have not lost weight - it fluctuated a lot throughout January. I did start exercising on January 1st though. And three days later, started having this weird, intense pain in my back that almost caused me to go to the ER (but I have not finished paying the old ER bill, so no emergencies for me :p). Suffice it to say, I stopped working out. But I plan to pick it back up this month. Our church typically does a 21-Day fast at the beginning of the year, and this year was no different. Typically, I like to include a devotional from Youversion to read long with it. I kept up with the devotionals, and the short messages from church but for a while. But then, I started to feel a bit disconnected. I know that God wants me to pray more. I don't want to just read the Bible for reading sake, or for just finishing devotionals sake. I want to read, and pray, and worship, and be on fire for God. I think in February, I'll start devotionals that center around prayer, and should hopefully share my favorite ones with you at a later date. I didn't make any money from blogging (Booooooo!). I'm still at my current, low-paying job. But I did manage to clear off one of my medical debts. While on the Clever Girl Finance Facebook group, someone talked about using money that's lying around and not really doing much, to put towards debt. The amount of debt on this account was not a lot, and if I followed the plan, I would have paid it off in March. However, I had enough money in an account to clear it off, so I did exactly that! It's knowledge and ideas like this that make me glad to be a Clever Girl Finance member. That was January 2019 in a nutshell. How was January for you? What did you get up to? P.S. Goooooo PATS!!!! My team won the Superbowl AGAIN last night. Tom Brady is the GOAT! Nice to see u back in full swing. You've had a good Beginning (January), it will only get better. My month was great too. Have you heard of the drivetime devotion? It's an audio devotional/bible study that takes you through the books of the Bible on a daily basis. It's the most intense devotional I've ever experienced.you can Google it or check the stores. I got it on apple store two years ago and I've recommended it to many android users. Wishing you your best February, yet. Thank you very much. AMEN to a BETTER rest of the year, for us both! I've never heard of Drive-time Devotion. I should totally look it up. It sounds like it might be similar to doing an Audio Bible-in-One-Year plan on Youversion though. I'll definitely check it out. Thanks for commenting and have a great year ahead!!! I have had a good start, yes ma'am. This year started out really slowly. Next thing i know everything seems to be so intense and i'm ashamed to say somewhere around the middle of January i lost my zeal for the new year. On faith, finished my church fast, Pinky promise challenge even though i'm just so tired these days to really spend time with God after work so that's a bummer, I only manage to fall asleep listening to some sermons on You Tube. I've been trying to finish reading Crazy Rich Asians and its going really slow. Still at my old job, been writing the same post for an online blog post and its not going so well-I don't know somehow the year just started and I'm already overwhelmed. p.s Can we all address the fact that you're one hot chocolate Mama, love the picture! I've been loving all your posts this year, more ink to your pen. I think it's normal that come November/December, we're all gingered and ready for the new year to come. By the end of January, we realize the days are still just days - with a different date - and the high wears off. You wanna try waking up 20 minutes earlier for a quiet time? That's what I was doing, and it really helped (I've fallen off it but want to get back to it ASAP). As far as being overwhelmed, you may need to take a step back and take a day or two to rest and regroup. Trust me, because I feel the same way. I'm just looking for pockets of time here and there to stop and breathe. You can also get a notebook to just write out everything on your mind, so that it's less overwhelming. THANK YOU FOR THE COMPLIMENT!!! Ham blushing like a happy bird. I love how you have covered all bases. Talking of reading books, I am currently reading Brittany Hennesy Influencer book - Its really helpful and I have already started incorporating plenty of her tips to my blog and strategies. 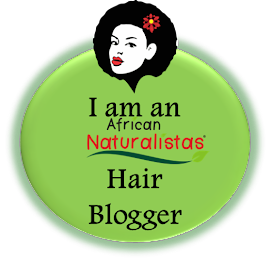 In this saturated blogging industry, its worth trying all sorts to stay on top of the game but we will get there one day. I have managed to read 5 other books including Becoming by Michelle Obama and The subtle art of not giving a f*ck. I seem to go through books easily via audio as compared to paperback. In other news, I finished Marie Kondo show in less that two days. I just loved the whole process of how they cleaned up lol, weird I guess. I also got a new job offer, starting in a weeks time so am super excited about it. YAAAAAAAAAAAY, CONGRATULATIONS on the new job! Woot woot! You read 6 books in January? That's great! I'm half into audio books, and half not. I like that they're fast, but other than when I'm driving, I don't listen to them. I still haven't had time to go through Marie Kondo's show completely, and I'm not sure if I'll get into the cleaning frenzy as much as others.